Cathy and the Barefoot Caravans team are overwhelmed by the response to Cathy’s appearance on Amazing Spaces in the last episode in the series aired on Thursday 1st March 2018. Instagram, Twitter and Facebook followers and messages have gone wild, not to mention countless emails too. And they couldn’t be more positive – so many people saying that they “love the caravan”, “amazing design”, “my dream caravan”, “fabulous”, “love at first sight”, “never wanted a caravan – until now”, “absolutely stunning”, “iconic design”, “fabulous product”, “desperately need one”, “outstanding British manufacturing” and so on! You can imagine how proud and grateful we are – thank you to everybody who commented. During the programme, Will Hardie very kindly Tweeted …. Many people are requesting viewings. We would love to see you at our facility in the Cotswolds (Blockley) on weekdays. We are also holding a pop-up event on Saturday 17th March (9am-5pm) at The Valley, Evesham WR11 4DS so that many of you can see us on a weekend soon. 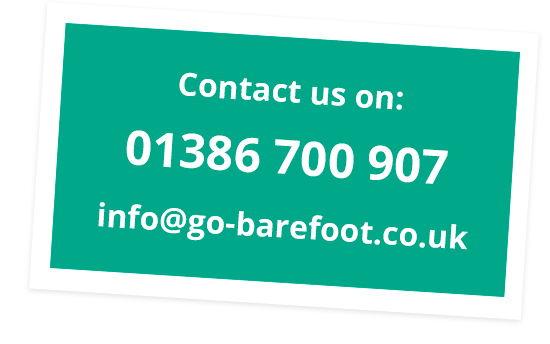 We are now taking orders from mid-June onwards – don’t delay if you want a Barefoot in time for the Summer!